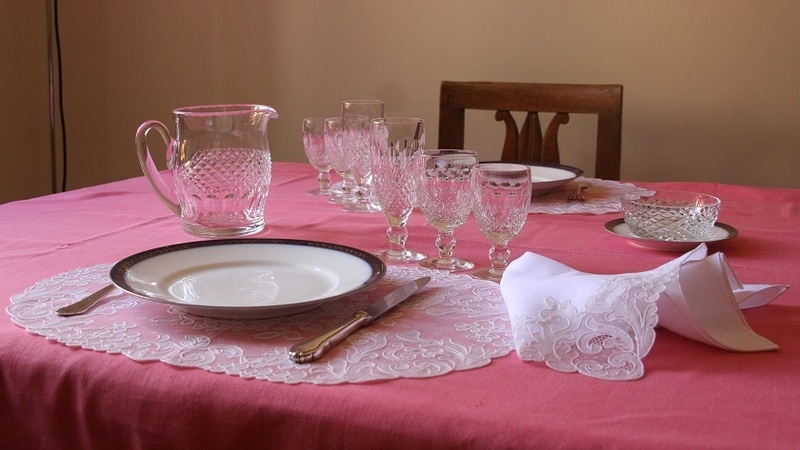 Who says that elegance doesn’t rhymes with practicality? 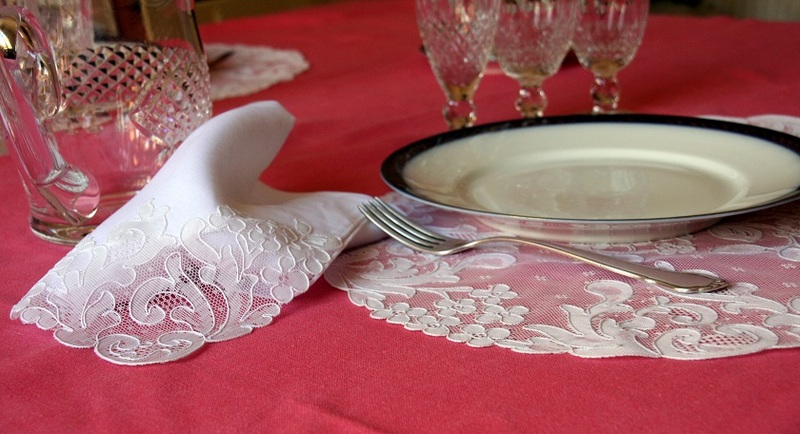 Placemats and runner “Hortensia” are refined and elegant but very practical. 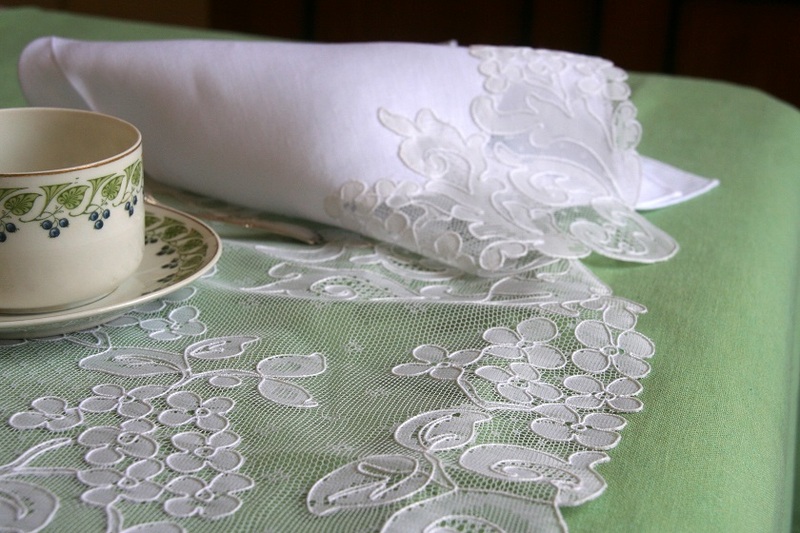 The lace is made of a light but strong thread and you can even wash it in the washing machine. 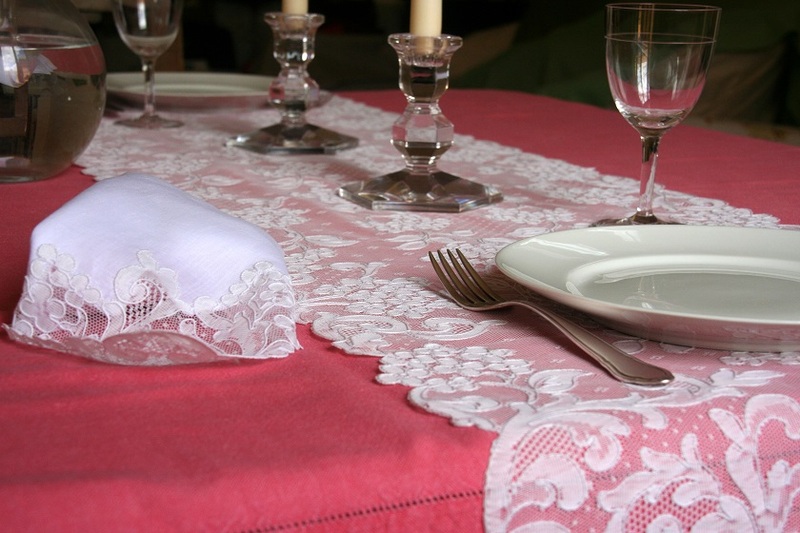 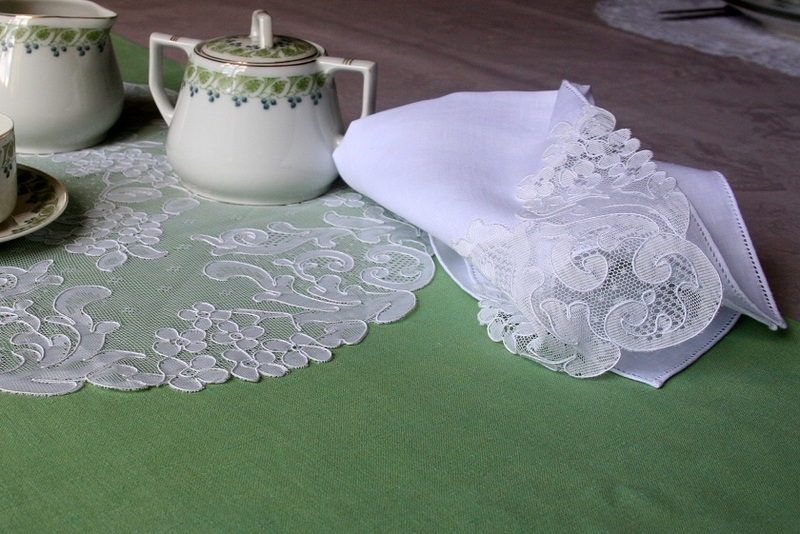 The napkin is made of light linen, with hand-embroidered à jour and corner made of the same lace.